Prowling the city streets at night, the vigilante searches for justice. Wielding her Silver Urban Ninja Sword, she dispatches her foes, then cleans the tactical blade before returning it to its sheath and continuing on her quest. The stainless steel blade has a silver finish, though you may need more to vanquish werewolves. However, for your cosplay or collectible needs, this decorative sword will make your friends howl with envy. 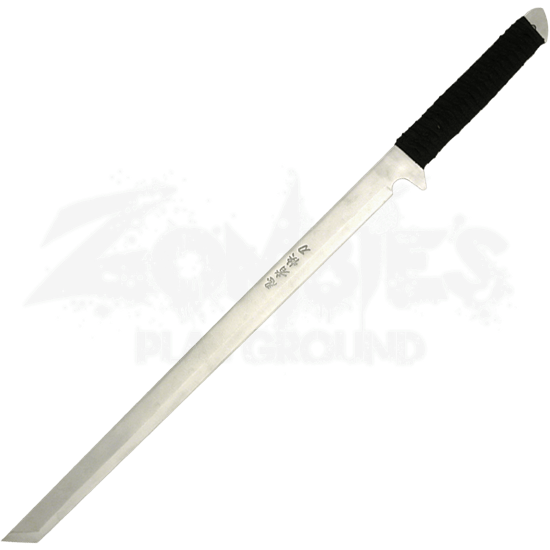 An attractive Japanese inscription decorates the ornamental blade, and the adjustable sheath allows you to wear the Silver Urban Ninja Sword either at your hip or shoulder. 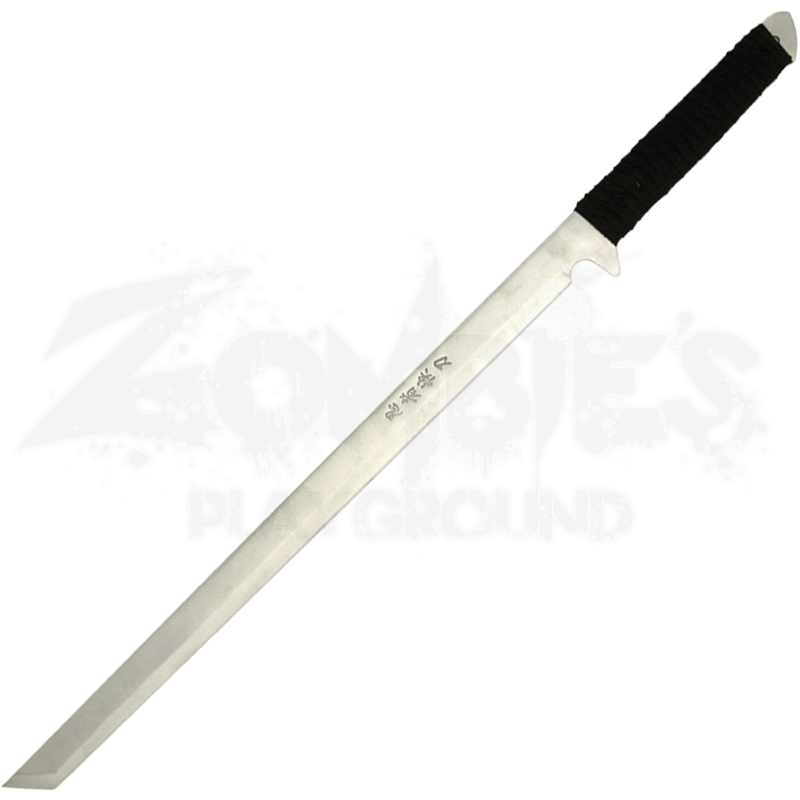 Never leave home on your urban quests without this Asian sword at hand.